I was a little worried these would be too hard when ordering them, but I was surprised upon receiving them. I would deem them more M-MH. They aren't too hard for the bottom register, and they speak decently in the top octave (you just have to give it a little more punch of you really want them to articulate). Good tone, a great mix of contact sound and bar warmth. I'm in love with the handles, nice and long, very thin, and a sturdy feel. Very easy to play 4-mallet stuff with. I'd recommend these to anyone who wants a general mallet set that has a little more articulation than the average general set. These mallets sound amazing and weigh almost nothing. 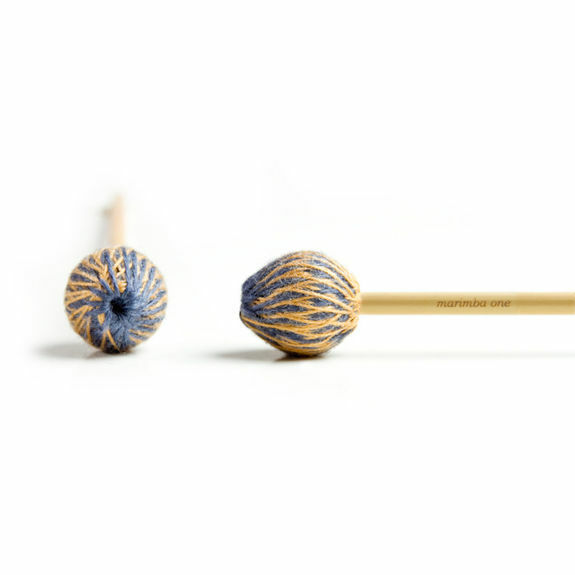 After warming up with my IP1003X mallets, I get a great tone quality and can play quick passages with ease with these mallets. Not to mention they look awesome. I absolutely love the weight of the mallet paired with how it strikes the keys on the marimba. If you are looking for a high quality mallet, look no where else. Bought these mallets on a whim in needing new better mallets than my Vic M 182. These Marimba one mallets are great; well balanced, good sound and light weight feel in the hands. Suggest these mallets to anyone who wants to buy them. They are worth the money.